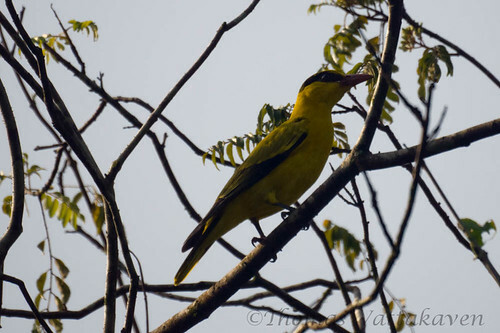 The Black-naped oriole (Oriolus chinensis) is a winter visitor to Kerala from Andaman and Nicobar where they are resident. 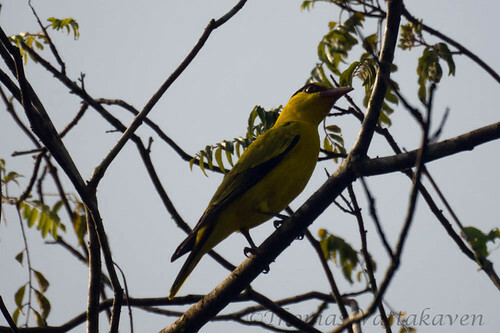 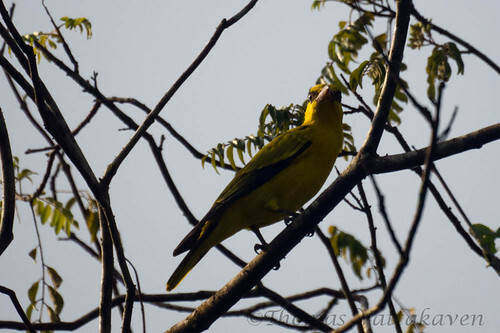 It differs from the locally resident Eurasian golden oriole (Oriolus oriolus) in the presence of a clear black nape and the absence of black wing coverts (yellow instead). 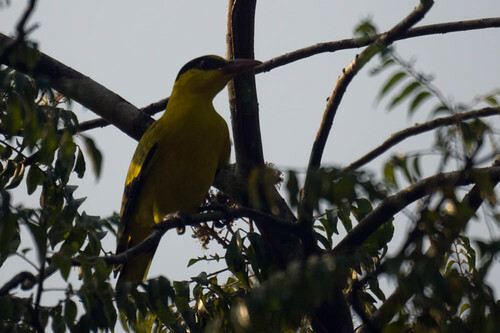 It is also very similar to the Slender-billed oriole whose head stripes are more narrow. 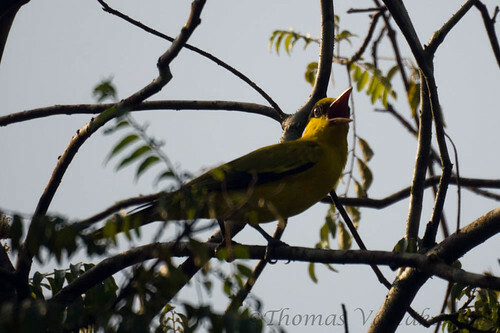 It has a loud, melodious whistle that sounds like "too-whee-you"
Although it mainly feeds on fruits and insects, it is known to be aggressive and may raid the nests of other birds for eggs and nestlings.